Tile wall on Haight Street near pizza parlor, featuring a Dave sticker. 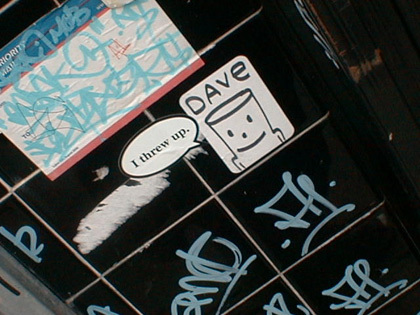 Dave is a very prolific artist, and his stickers are all over SF. Go here to learn more about Dave.